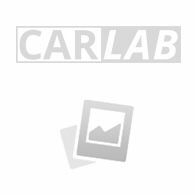 Renault Megane IV 2016- \'Slider\' armrest. Do you always lose something in the car or suffer from a tired arm? AutoStyle has the solution: high quality armrests. Place the armrest in your car and increase your comfort during your trip. Easy to use and convenient for storing your change, USB sticks, sunglasses, keys and other small things without losing or damaging anything. With this armrest you keep your car clean, uncluttered and the drive is more comfortable. The armrest is easy to install, to remove and is TÜV certified. Easy to install by using a pencil and placing 4 dots on the handbrake console and drilling 4 holes of Ø 3 mm (diameter) in these spots. Subsequently you place the screws in the 4 holes and tighten it with a screwdriver. If you would like to have help with installing your armrest you can always go to your AutoStyle dealer.